A draft government report warns of extreme fire events, or “mega fires,” saying they are predicted to increase as climate change progresses. B.C. communities risk going up in flames under the threat of what the forests ministry calls "mega fires," saying they will be so large current firefighting techniques won't be able to cope. The draft report from the Wildfire Management Branch says these mega fires are predicted to increase as climate change progresses, and warns a great deal of work is needed to head off future disasters. 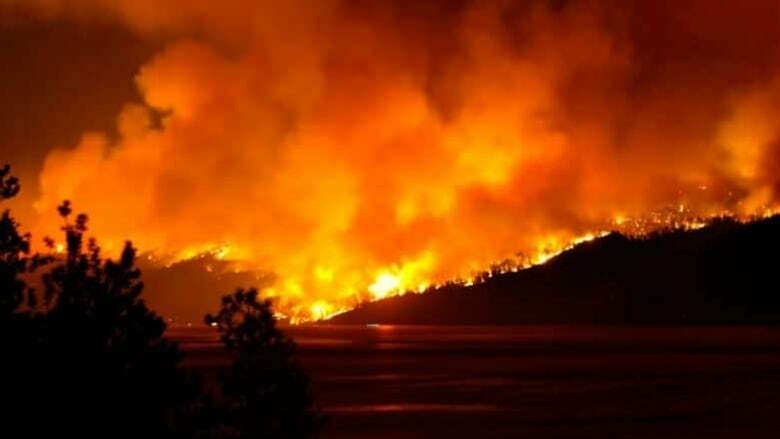 It says climate change will mean "an ever growing wildfire risk and threat to communities, critical infrastructure and natural values in British Columbia." Fire frequency will increase by 30 per cent. Annual area burned is also predicted to increase by 50 per cent to 300 per cent in the boreal​ forest. By 2017, it is estimated that there will be 787.8 million cubic metres of pine that have been killed in the province by beetles, creating a huge fuel source for fires. 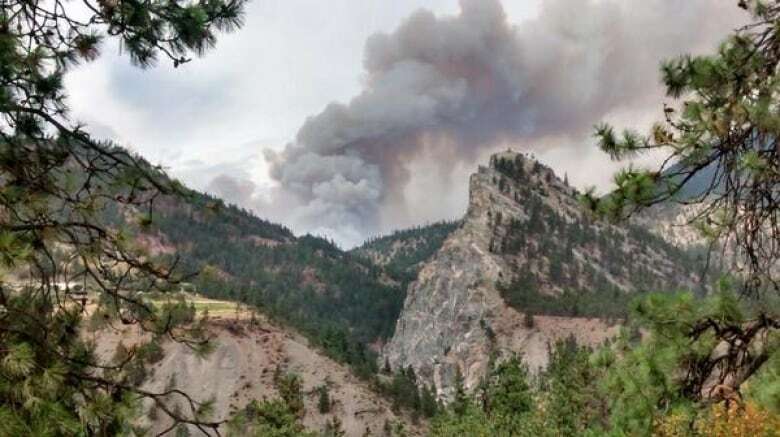 The Insurance Bureau of Canada has warned that it expects the incidence of severe wildfires to increase in B.C. by 50 per cent or more by the year 2050. A big part of the problem is the huge amount of fuel provided by pine trees killed by the mountain pine beetle infestation, which has spread due to climate change. The report says every year an additional 800,000 hectares is taken over by dead trees, creating a huge fire risk for decades to come. The worst fire season in recent history was 2003, when 50,000 people were forced out of their homes and over 300 families lost their homes to fire. 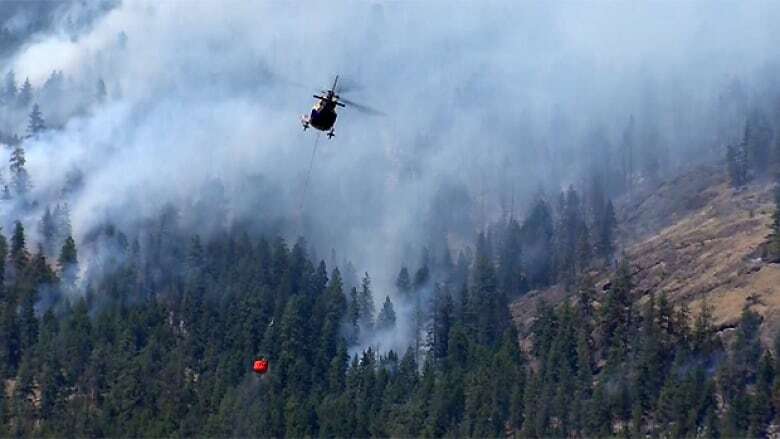 Those fires, mainly in the Kelowna area, led to some changes in fire protection, but the report says more needs to be done. Although year-by-year statistics vary, it points to a long term trend of increasing fire risk. Instead of fighting the fires after they get out of control, the report says prevention is the most cost effective way to protect B.C. communities. This would include larger buffer zones around structures and more work to make forests less vulnerable to out-of-control burns. The report calls for "fire-adapted communities and fire-resilient landscapes." It says homeowners should start by assessing risks to their properties, and then look at how structures are located, how fire resistant materials are used and if the landscape and vegetation can be altered to lower the risk. It calls for a ten-year plan to implement strategies to protect communities across the province. A final version of the report is expected to be ready in 2015.